Here we are, hitting the heights of the holiday and cruising seasons and the sun is still blazing down! 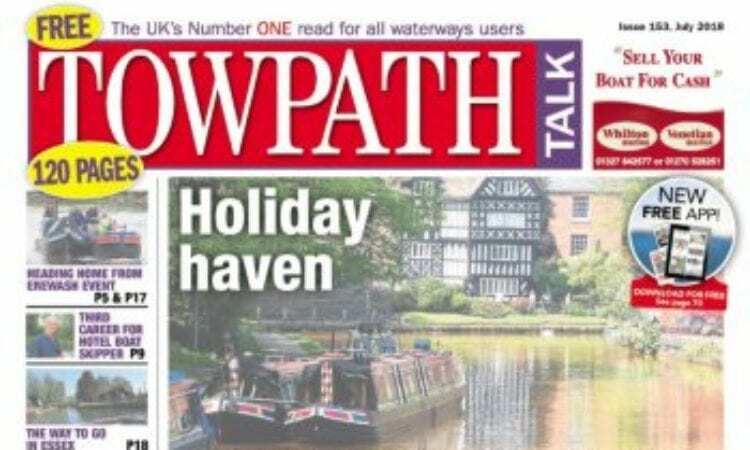 So dig out your wide-brimmed hat, don those sunglasses and relax with the latest issue of Towpath Talk... and an ice-cold drink, of course! 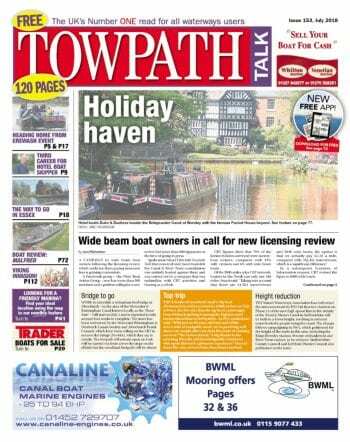 The July issue is packed with news from across the waterways, including a campaign spearheaded by wide beam boat owners against a Canal & River Trust licensing review which could see them paying increased fees that amount to several times as much per mile as for narrowboat users. Editor Janet Richardson swaps the deck and gunnels for a yurt to enjoy some time ‘glamping’ at Beale Park Boat Show. Find out how she got on at this popular event. There are more pages of news this month than you can shake a windlass at – a total of 44 contain editorial content in this 120-page issue. You’ll find all your favourite features, including an update from Cracker the boat horse on the Welshpool Transport Festival, and two items of news on the last coal-fired Clyde puffer in service, VIC 32. If you’re looking for holiday ideas and places to visit, there are great suggestions for the whole family. And we really do mean the whole family… our new feature, Pets on the cut, looks at the fun to be had with our four-legged and furry friends on board. On the animal theme, Helen Gazeley finds ‘doggy paddle’ taking on a whole new meaning as canines don life vests and join their owners paddle boarding. Towpath Talk‘s Ireland correspondent Alison Alderton presents a fascinating feature on the Vikings and explores historic connections between Dublin and Denmark. And don’t forget, if you’re in the market for a new boat, want to find a new marina to moor your craft, or need accessories or repairs relating to your existing vessel, look no further than our July issue for great ideas!